I’m constantly in search of a great bowl of Pho. Unfortunately, I haven’t found it in Vancouver yet. What makes pho great in my mind? Flavourful beef, nicely textured noodles, delicious broth. Doesn’t sound that hard does it? Amazingly enough, I haven’t found a place in Vancouver that has been able to meet all three criteria. So in the meantime, I go back to places that have good pho, and Bau Chau is one of them. Located on East Hastings , this place seems to be a favourite of my younger Asian staff, so it’s the one I take them to when I treat them to a cheap lunch. I always order the Pho Tai Nam which is rare beef and well done flank although I could probably do without the rare beef as it always seems to be freezer-burnt. The broth is clear and has the potential to be really good, but unfortunately it’s not. The texture of the noodles is the best thing about this bowl, that and the fact that we order extra “chong“, (green onions & other green stuff) which helps to add to the flavour of the broth and makes me feel like I’m eating my vegetables. 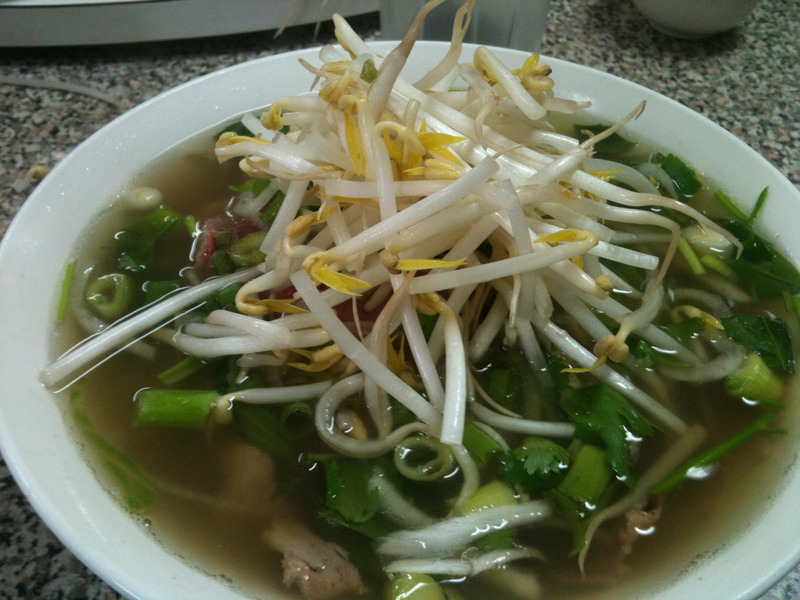 I’m a fan of bean sprouts and am happy when they serve them raw and not parboiled. The self-claimed “specialty” at Bau Chau are their spring rolls but I’ve found them to be inconsistent. When they are straight out of the fryer and so hot they burn your mouth, I think they’re really yummy for $1.75. I put the price in there, because I feel like they skimp a bit on the filling in order to keep the price down. 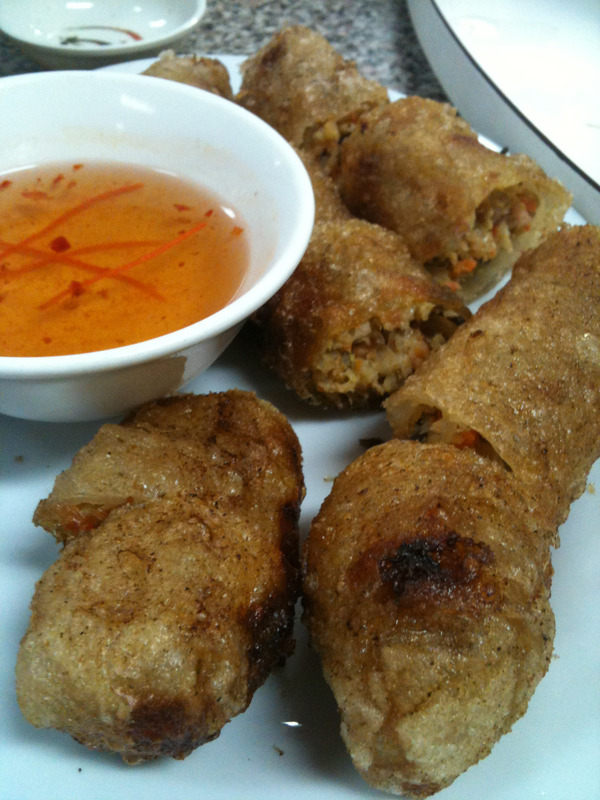 A lot of times the spring rolls are served warm/cold, resulting in a hard wrapper and mushy filling. This is the biggest disappointment because if you’re going to be bad and eat deep fried food, at the very least you want it to be delicious deep fried food. I got these on a bad day – rock hard wrapper, mushy insides. I’ll keep going back to Bau Chau because it’s close to my work and it’s easy. It’s one of 3 or 4 pho places in Vancouver that I frequent. I do find it sad that for something I like so much, I haven’t found a place I love yet. I’ll keep searching though, for the love of pho.